Confessions of an Operatic Mute at the Victoria Fringe 2018. An interview. Confessions of an Operatic Mute at the Victoria Fringe 2018. An interview. 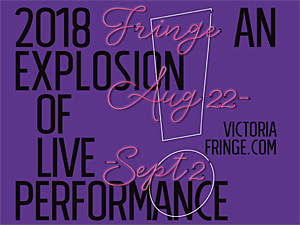 You are here: Home / Arts / Confessions of an Operatic Mute at the Victoria Fringe 2018. An interview. Brian Nasimok was at one point Canada’s foremost operatic mute. Confessions of an Operatic Mute is his story. 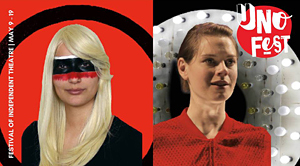 About 13 years ago I directed a show that went to the Atlantic Fringe Festival and then four years ago I directed a show at the Toronto Fringe. 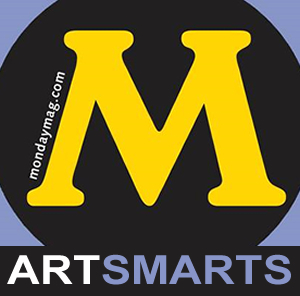 To make a long story, shorter – after my opera “years” I pursued a stand-up career and then moved to improvisation and sketch. After I got a mortgage, I shifted my emphasis to television (many years freelancing at YTV where I created shows and CBC where I wrote a lot of kids stuff and variety). I produce something called the Siminovitch Prize for Theatre (won’t go into that) and the son-in-law of the aforementioned Siminovitch, about six years ago, was the catalyst to go back to performing. I enrolled in a Soulo Theatre course (the object was to create a short 10 minute piece). I performed that and then stretched it to 30 minutes about 6 months later and then it has become a 50 t0 65 show, depending on where I am doing it. So to answer the question… on the Fringe “circuit” when I am not doing other things – off and on for five years. No during my second North American Opera tour, we spent three days performing Cosi Fan Tutte in Victoria. I loved the place and that is one of the reasons I decided to bring the show to town. My schedule Friday, Saturday, Sunday – Friday, Saturday, Sunday – will give me time to explore the area. I am fourth on the waiting list for Vancouver but I’ll be fine to head right home after Victoria. Let’s see – Canadian Comedy Award recipient; Gemini Award nominated writer (I wrote the Canadian Screen Award for two years and the shows were nominated for Best Variety Show and Best Host – with Norm MacDonald winning). 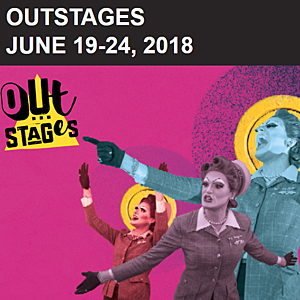 The show was chosen by CBC Writes when it opened as one of the Ten Top Fringe Shows not to Miss (for Canada) and was Pick of the Fringe in Halifax and Toronto. Last year I went into my basement and found my file on touring and realized that I started to write this when I was on the road touring (some 30 years ago) but I never crystallized the desire until I started with Soulo. In the interim I had a decade along career doing stand-up which prepared me for being able to present the piece on stage. The first ten minute story was so well received I figured I should continue and it when I stretched it to 30 minutes, I was invited to performed it at the Totnes SouloFest (Totnes, England… the teeshirt says it is twinned with Narnia… I have stories). 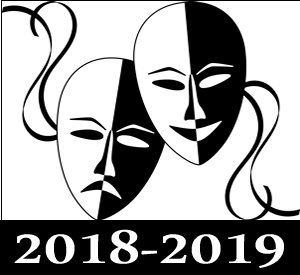 I knew it wasn’t complete so I applied to the Toronto Fringe Festival and was chosen (the same thing happened with Winnipeg) and expanded the show to its present length. As I performed it the story evolved and has changed a fair bit since the hour long premiere. On a plane trip to Africa I ran out of things to watch – so I was left with The Equalizer – and the first image on the screen was a quote from Mark Twain “The two most important days of your life are the day you are born, and the day you find out why”. Not only is the quote on my wall, it is now one of the first lines in the show. People who enjoy comedy; I believe it is a pretty good story about succeeding and working through or around (or under) obstacles… People who have dreams, who yearn to realize a goal should relate. When I was 8, I went to theatre for the first time and once I saw the musical Oliver I knew what I wanted to do (the day I found out why). Well none of more “teachers” or directors believed I would get there (in school I played a Boy, a pirate, Policeman Number Two, etc). As well I was husky (code word: fat) and had a fairly large cigar shaped birthmark on the left side of my face – so my classmates had some good excuses to single me out (nowadays it might be called bullying). I survived through my sense of humour (which has lead to a pretty good career). The story traces my early life and loves and failures. It is essentially a story about surviving and thriving – and realizing an opportunity (I was “discovered” performing in a University Revue that was so bad it closed during dress rehearsal. Someone came backstage to look for opera extras – and my knowledge of opera was pretty well based on Warner Brothers cartoons – “Kill the Rabbit” but I realized this was a chance to gt on the stage – and it turned into career – 287 performance without sining a note and becoming Canada’s Foremost Operatic Mute. I think the show is genuinely funny, and touching. I started my standup career as a storyteller but changed my material as audiences became subjected to more late night 8 minute comic pieces. I performed on shows like A&E’s Evening at the Improv and Showtime’s Spectacular Evening in Canada but was not satisfied doing standup. In the last five year I have honed my talents as a storyteller, and was invited to perform at the Toronto International StoryTeller Festival. I say if you like opera I spend part of the show telling opera stories – if you don’t like opera I don’t sing – so it is a win/win situation. I hope my story reinforces that people should pursue their dreams and to realize there are opportunities that should not be missed. We all live with failure some minor and some major, but that shouldn’t stop us from going for it. (A number of my stories focus on my romantic nature – and for most cases end with my lack of success – but living hopefully ever after). It is great to see how much storytelling has returned to be a part of our culture. Every week in Toronto there are one or two venues offering people a chance to share their loves, hopes, dreams, insight… frustrations. And with the explosion of stories that are being shared through podcasts, storytelling is having a Renaissance. 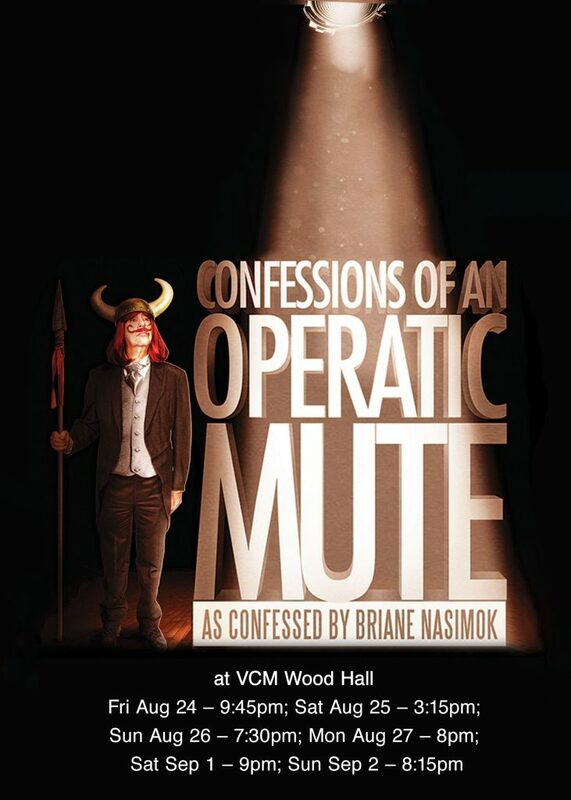 Gemini-award nominated writer and Canadian Comedy Award recipient, raconteur Briane Nasimok, will be remounting his comedic coming-of-age tour de force “Confessions of an Operatic Mute” from Friday August 24th at the VCM Wood Hall, as part of this year’s Victoria Fringe Festival. Chosen by CBC, Canada Writes as “one of the top ten Fringe Shows not to miss”, Briane takes his audience along a path that took him from his first trip to live theatre at age 8, through a operatic career that toured North America for three and a half years, without him uttering a word. He shares his many loves and losses while giving a glimpse of what it is like behind the scenes in the world of Grand Opera. Briane went on to become a featured performer at Yuk Yuks, with appearances on shows including “Evening at the Improv” and Showtimes’ “A Spectacular Evening In Canada” and wrote on everything from The Canadian Screen Awards and Sesame Street.